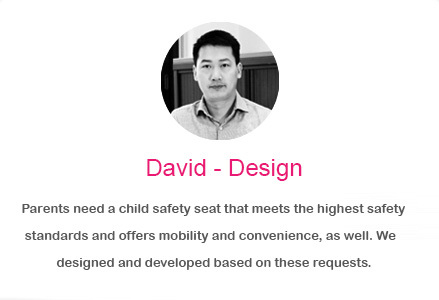 Purseat was creatively designed and strictly developed for parents and children who want more convenience, mobility, function and cost saving on their car seat when moving it from one place to another or when on holiday via plane and car. 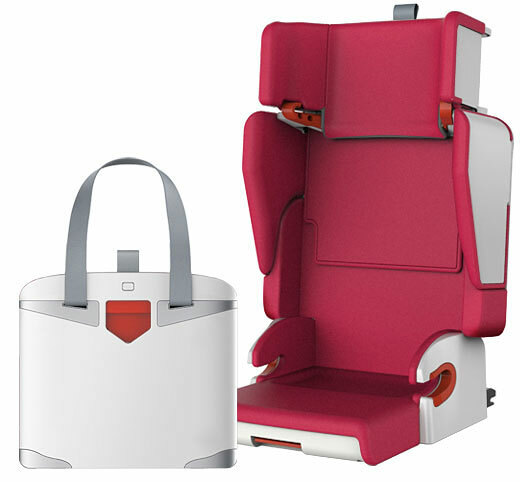 This multi-function product, purse and seat, can perfectly fulfill these particular requirements. 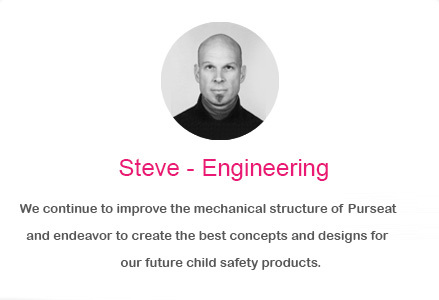 Furthermore, our motivated designers are striving to create more innovative concepts for child safety. These creative concepts are mostly not yet available in the current mechanical industrial design. 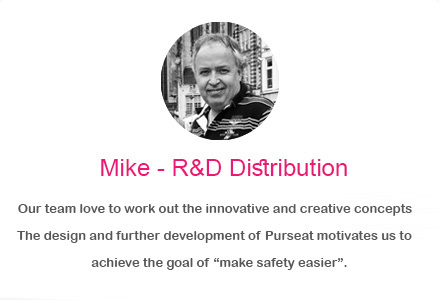 Therefore, Purseat brings the newer passion to the market. That is, "make safety easier". 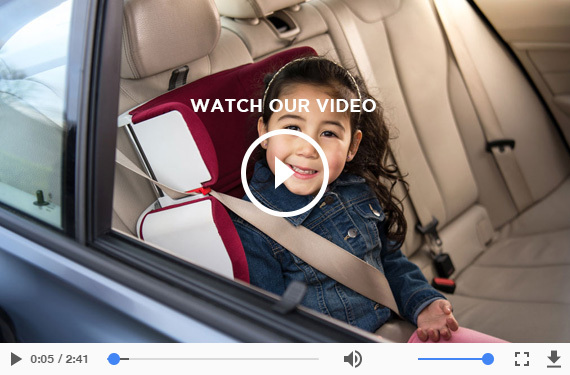 The primary function of Purseat is as the child car seat. It was designed and developed for children of approximately 3 to 12 years old. 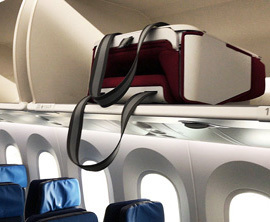 It can also be transformed to a travelling bed by pulling down the back rest, and to a booster seat by removing the back rest. Fragile and important items (iPad, laptop, fancy toy ...) can be safely stored in this purse during travel. What kind of safety standards does the Purseat meet? Safe enough compared with the regular car seat? Our team is extremely busy with product development. We have exceeded the Safety Standards of "CCC" and "ECE R44/04" in September 2017. The safety standards FMVSS 213 for American regions will be arranged in December 2017. 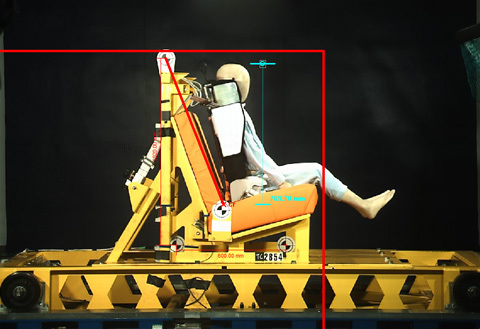 Eventually it will meet most of the safety standards worldwide and pass the crash tests as well. 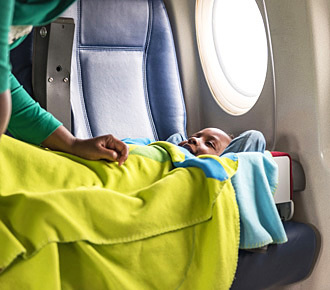 This will make sure all parents can use safely in most countries. For latest information, please follow us on the Facebook, Twitter, Instagram and Pinterest. Does the Purseat have the ISO-FIX or latch system for an additional protection? 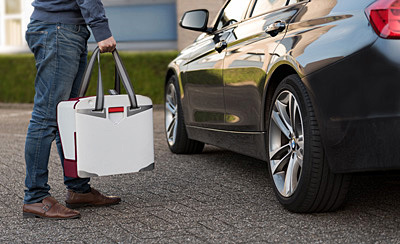 The first Purseat provides the SmartFix system. The latch system will come a little later. Where can I buy the Purseat in my country? When will It be available? The Purseat will be available in August. 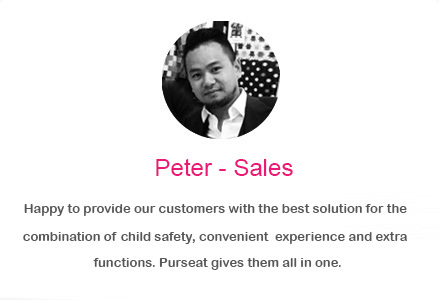 That means customers can purchase Purseat worldwide via online shops. These initial orders will probably be shipped from the factory directly to customer in September. By the end of 2017 it will be locally distributed in Europe, USA, Japan, Australia, China and likely other countries as well. For the acutual information and plan, please follow us on the Facebook, Twitter, Instagram and Pinterest. Can I distribute the Purseat in my country? 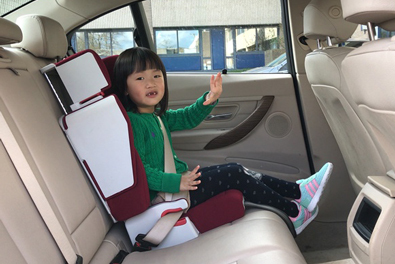 Many customers request this kind of car seat. How is the warranty terms, return policy, repair procedure and other service conditions? Our quanlity control team checks every detail of every Purseat with the ISO 9001 system so that each unit has been perfectly produced before it is shipped to our customers. The warranty period is 2 years. Any repair in the warranty period is provided free of charge. Return is possible within 2 weeks, only if there is a manufacturing defect. Repair for any non-warranty case can also be done against the cost of parts and labour.